The 1988 mint set included ten uncirculated coins, five from Denver and five from Philadelphia, and was packaged in a pale envelope with two narrow silver stripes across the front. 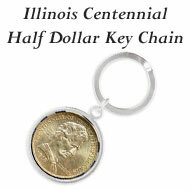 The five uncirculated coins from the two mints included the Kennedy half dollar, Washington quarter, Roosevelt dime, Jefferson nickel and Lincoln penny. The envelope for the 1988 mint set is a pale color, neither white nor tan, with two silver colored stripes across the front. 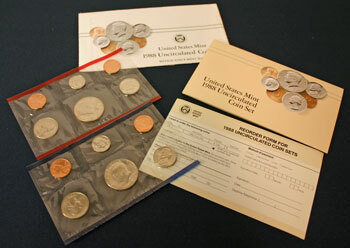 On the left, images of the five uncirculated coins and the two tokens provide a glimpse of the contents. 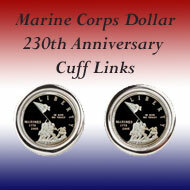 In black, the US Mint's seal is printed above "United States Mint 1988 Uncirculated Coin Set with D and P Mint Marks." 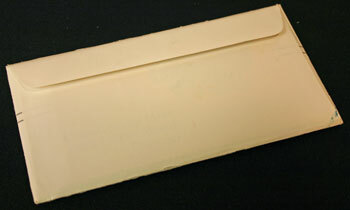 The back of the 1988 mint set envelope does not show any additional markings, and again, the back closure is straight across. The 1988 mint set contained two pliofilm sleeves with five uncirculated coins in each and an insert describing the mint set and the uncirculated coins. In addition, the US Mint included a separate card to make it easy for people to order more of the 1988 mint sets. The red-edged pliofilm on the left holds the five uncirculated coins from the Denver mint and the Denver token. On the right, the blue-edged sleeve holds the coins minted in Philadelphia and the "P" token. The copper-colored token in each of the two sleeves identifies the mint that produced the coins. 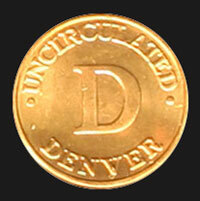 The Denver token's obverse image shows "Uncirculated" and "Denver" around the rim with "D" in the middle. 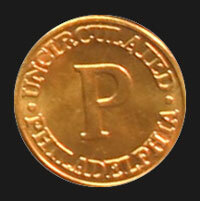 Similarly, the Philadelphia token in the blue-edged pliofilm shows "Uncirculated" and "Philadelphia" with "P" in the middle. Each pliofilm sleeve has six sealed compartments that keep the coins protected from each other. But the compartments are sized such that the coins can move freely. The reverse images on the coins and the tokens can be seen from the opposite side of the clear pliofilm sleeves. The US Mint's insert in the 1988 mint set uses elements from the front of the mint set envelope, but the color is darker. 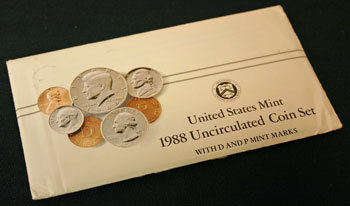 The insert is simply titled, "United States Mint 1988 Uncirculated Coin Set." 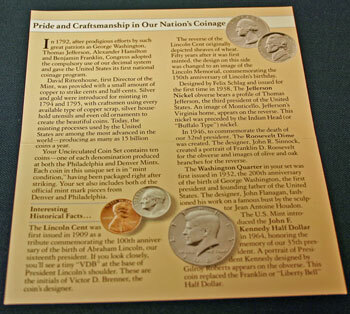 Inside the 1988 mint set's insert, the US Mint gives information about the early days of the mint which started in 1792. 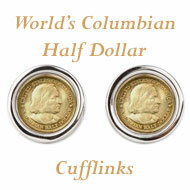 They describe the metals used for coinage in the early days including table silver and ornaments. 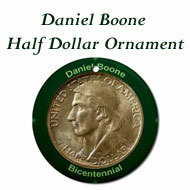 In addition, they provide historical information about each of the five uncirculated coins. The back of the folded insert shows the "Specifications — 1988 U.S. Mint Uncirculated Coin Set" and includes the artists, the size, the metals and the weight of the five uncirculated coins in the mint set. The opposite side of the card gives instructions on how to complete the order form and where to send the form along with payment. Larger images of the 1988 mint set insert show the contents of the insert and the coin specifications with more detail. 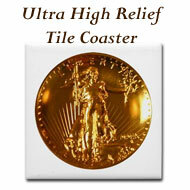 As gold prices increased, large gold bullion coins - a large as 12 ounces from the Bahamas - have become popular. The coin minted by the Stuttgart Mint in West Germany has a face value of 2,500 Bermuda dollars and is being sold for $9,500. 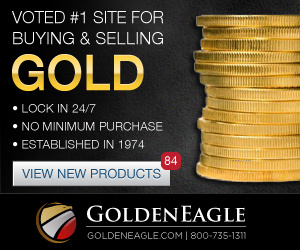 The US Mint continues to sell the American Gold Eagles in four different weights: one ounce, half ounce, quarter ounce and tenth ounce. 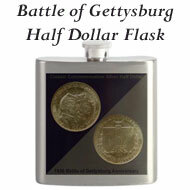 The US Mint's sales figures show the one ounce and tenth ounce coins are the most popular. The plant in Greeneville, TN has been making the copper-plated zinc blanks since the US Mint changed the penny from 95% copper to copper-plated zinc. 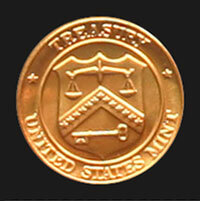 The US Mint ships the zinc and copper metals to the Greeneville plant where the metals are melted and reformed into thin sheets at a rate of 35,000 pounds per hour. Roughly 70% of the blank pennies are made in Greeneville (~8.5 billion blanks) under an $18.2 million contract with the US Mint. The other blanks are made in La Salle, Illinois. The US Mint packaged 24 dies in their San Francisco mint and shipped them to their West Point mint via an overnight courier. But, the dies never arrived in New York. It seems signatures were not required as the package passed through the courier's cross country facilities and the package got lost. 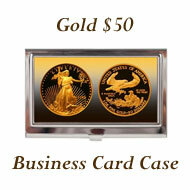 These dies were all for the obverse of the American Gold Eagle $50 coin. The American Numismatic Association will have all 84 of the submitted designs for the 1988 Olympic coins on display at their convention this week. The US Mint selected four designs for the two coins with two of the winning designs being provided by Philadelphia mint employees. A bill resides in the Senate to change our coinage in celebration of the bicentennial of the Constitution and the Bill of Rights. 66 co-sponsors to the bill want the reverse images on the coins to be more representative of the nation's values and ideals. 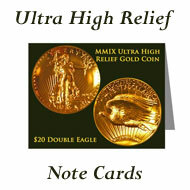 The US Mint testified as to what they would do if the bill passes. The head of the House Banking subcommittee is not on board as of yet. If he doesn't agree, the bill will fail. 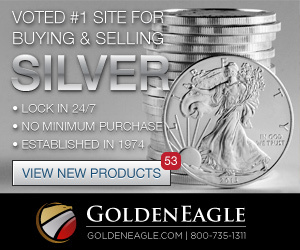 With the upcoming Olympic games, the US Mint expects to sell 11 million American Olympic commemorative coins. 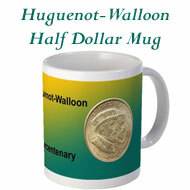 Coins and the Olympic games have been linked for many centuries. 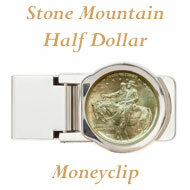 But coin collecting is much broader and offers the collector many alternatives. By itself, the penny may not buy much, but pennies add up to dollars, and enough of them will add to a goodly sum. 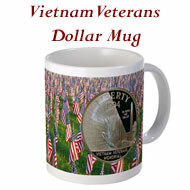 Collecting all the pennies from the jars, drawers and other hiding places can become a new purchase or a new vacation. As long as the US Mint continues to produce the penny, then it can be spent. The 1988 Mint Set Year included news of new Olympic commemorative coins, the US Mint's gold coins program and the US Mint's loss of 24 dies.